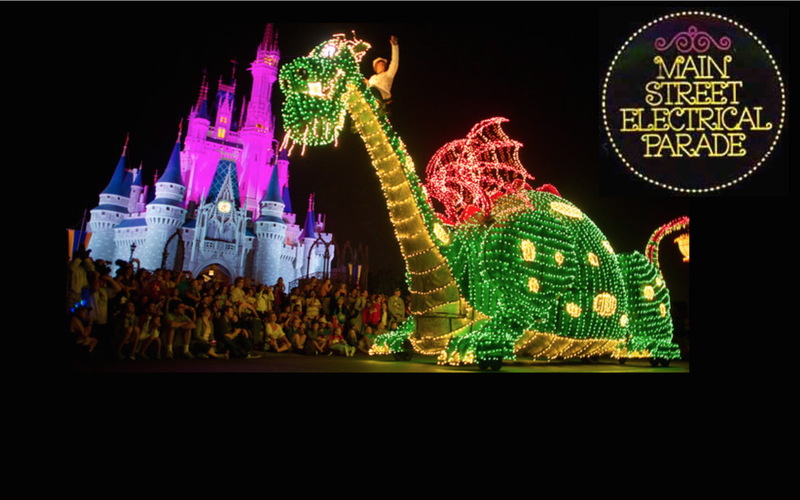 The Main Street Electrical Parade has been wowing Magic Kingdom guests since 1977. While it had a different name (Spectromagic Parade) from 1991 thru 1999, it was, and still is a crowd favorite. My family and I took a trip to the Magic Kingdom last weekend. We usually avoid the theme parks during July and August, but we had friends in town and just couldn’t avoid it. Once we were there, we realized that our friends had never seen the Main Street Electrical Parade. WOW!! If there is one thing you need to see while at the park, it’s that! 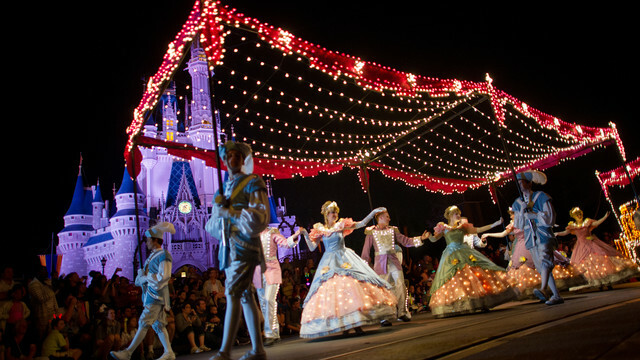 The Main Street Electrical Parade has over a half a million shimmering lights that are carefully synchronized to a memorable soundtrack (Baroque Hoedown) to create this moving musical spectacle, which lasts over 20 electrifying minutes. There are parade floats from Wonderland, Never Land and many other classic Disney stories. You will also get a glimpse of Alice in Wonderland, Pinocchio, Cinderella, Pete’s Dragon Elliot, Snow White and the Seven Dwarfs and many more. In addition to the characters, you will enjoy the dancers and other critters that pass by in this amazing parade. It ends with a unique American tribute featuring dancing patriots and a majestic bald eagle. So, where and when can you see this parade?? Here are a few tips I suggest. The parade’s times vary depending on the time of the year but people start lining the curbs of Main Street nearly 2 hours prior to the start of the parade. While Main Street is a nice place to see the parade, I suggest not wasting your time camping out that far in advance. You can see it just as well as it goes through Adventure Land, and you only have to be there about 30 minutes in advance. If you have small children, park your stroller right up to the parade ropes that line the streets. This will ensure they have a front row spot, and you can stand behind the stroller and still have a clear viewing area. Our friends really enjoyed the Main Street Electrical Parade and of course we did too. I have probably seen the parade over 100 times in my life, and I still enjoy it as much today as I did the first time.